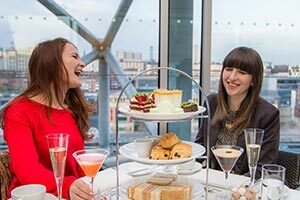 Newcastle is full of places to grab a couple of civilised after-work drinks, or party hard into the early hours. 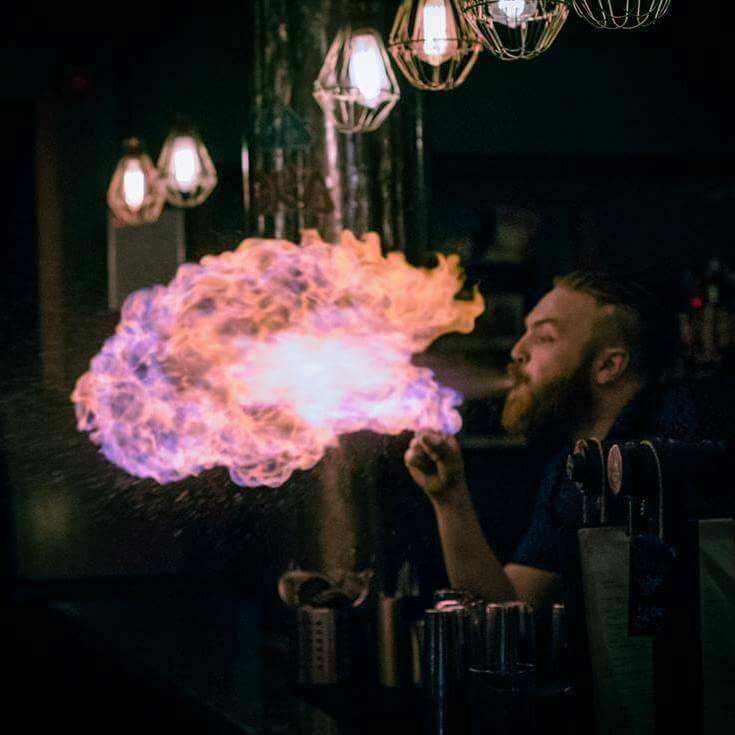 There are so many fantastic haunts and it’s difficult to choose where to go for a night out in Newcastle. 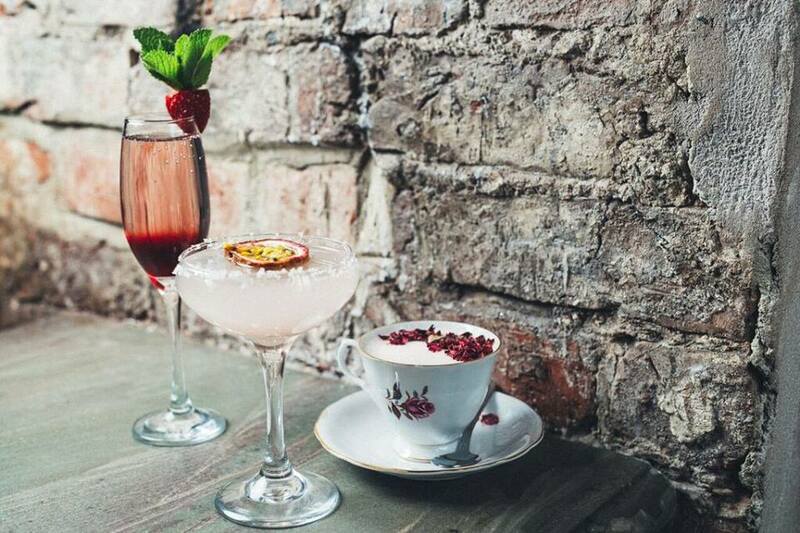 That’s why we’ve rounded up our top 10 Newcastle bars. Firstly, Pleased to Meet You for is Newcastle bar with some class. Tucked away on High Bridge Street, this multi-level venue has a main bar, a restaurant and a trendy basement cocktail bar, The Viceroy. 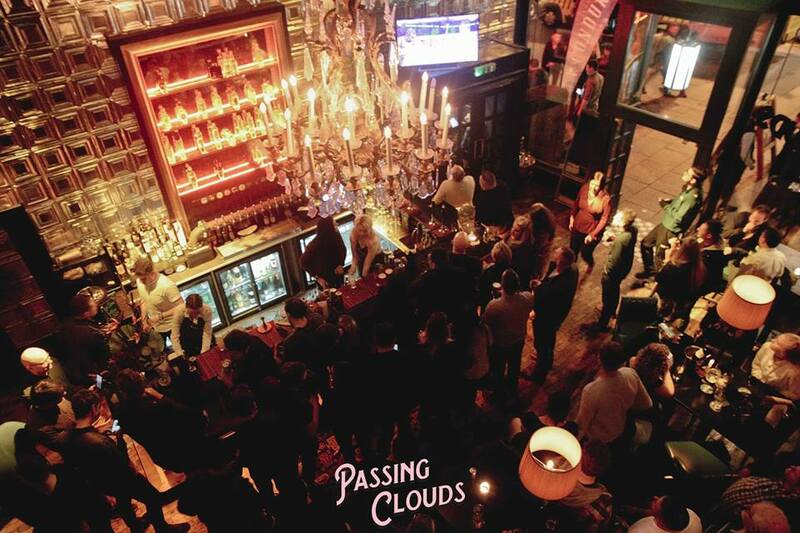 With an ever-changing array of craft beers and international gins, timeless decor and a full house every night – it’s no surprise why Pleased to meet you is one of the top 10 bars in Newcastle. If you’re partial to a cocktail, it’s time to be wooed by the Cocktail King. Alvino’s is cosy, intimate and beyond popular, and treads the fine line between going ‘out’ and going ‘out-out’. The quirky cocktail menu even reads like an Argos catalogue. Set over three floors, Alvino’s has plenty of room to spread out – including an outdoor, rooftop drinking terrace. 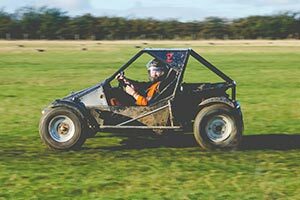 Whether you rock up in jeans and T-shirt, or suited and booted in your finest – this place suits all. Located above the historic Grainger Market, multi-award winning No.28 is a seriously hipster haunt, and one of Newcastle’s hidden gems. Open ‘til 3am every night, it’s got the intimacy of a classy bar, with the late-night hype of a nightclub. Note: Sunday – Friday until 9pm, prosecco will only cost you £15 a bottle. We’ll see you there. 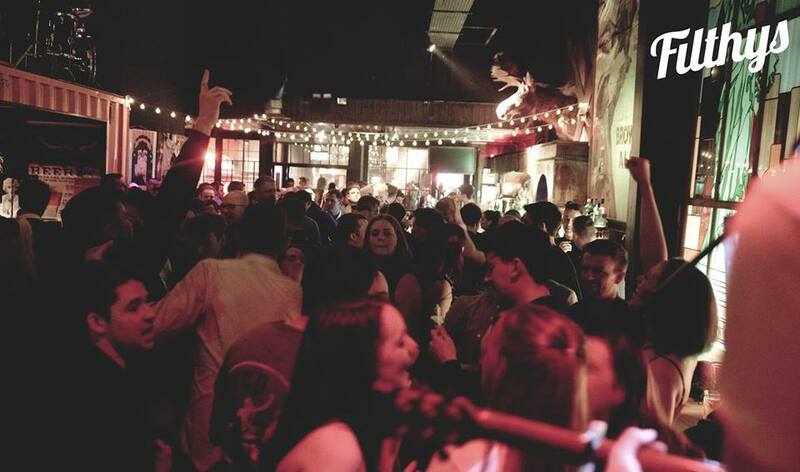 For a lively, rowdy night, Filthy’s is exactly where you need to be. This quirky spot in the Bigg Market earns its place in the top 10 Newcastle bars, with its nightly live music, cheap drinks offers and crowd of like-minded lads and ladettes who just want a good old fashioned knees up. Head upstairs to Illegitimate – it’s a quid in on Thursdays, and guarantees one of the best nights of your life. Pure filth. 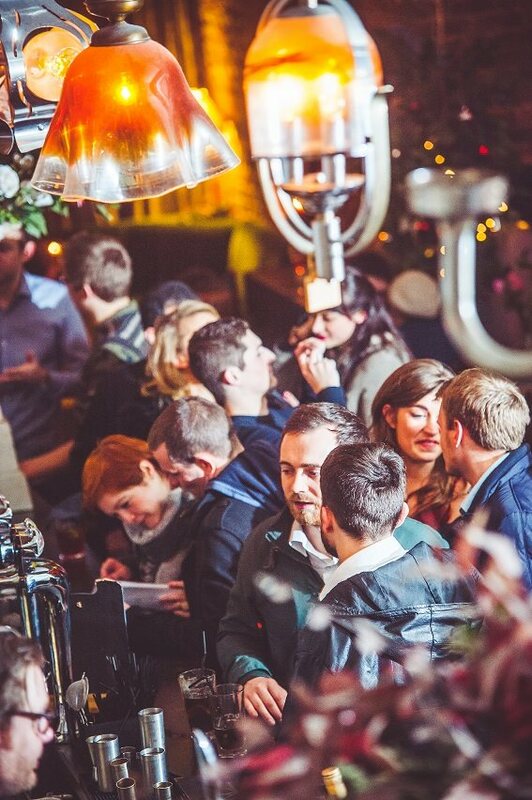 Located on the Quayside, Popolo is up there with the top 10 Newcastle bars. Known for its cocktails and craft beer, this is more of a Newcastle institution than merely a bar. They sell selected beers at two for a fiver, two mojitos for £6, and there’s live acoustic music every Thursday night. There’s even the opportunity to win a £20 bar tab for submitting your artwork on social media (trust us, they don’t even have to be good) and, with 300+ spirits behind the bar, it’s probably time to pick up those colouring pencils. Lola Jeans is a quirky cocktail bar in the heart of town. 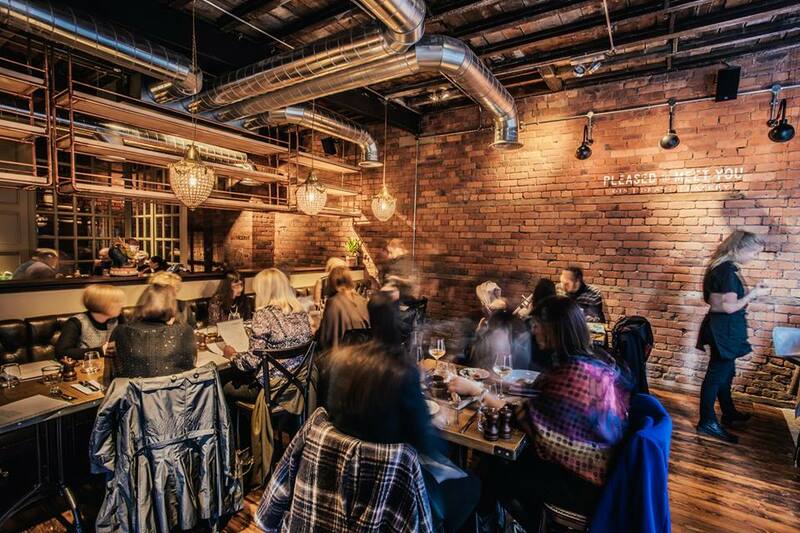 It boasts vintage furniture, floor to ceiling murals – including the locally renowned floral skull – and a basement ‘Speak’, and will make you feel like you’ve stepped off the Newcastle streets and been transported to an edgy French boudoir. If you want a table for the night, it’s worth getting here early – as this place gets super busy. 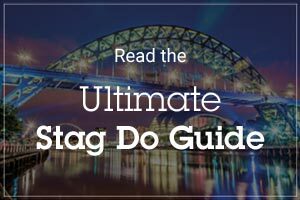 Nestled beneath the iconic Tyne Bridge, The Bridge Tavern has cemented its place in the top 10 Newcastle bars. The award-winning Tavern is quaint, laid-back and even has a fantastic rooftop terrace to spill out onto. 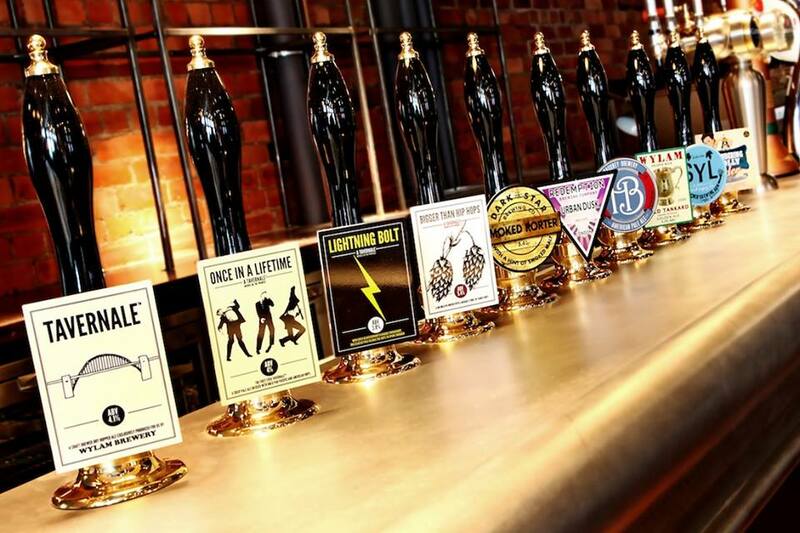 It also has an impressive two hectolitre micro-brewery on-site – with daily batches of cask and keg ale on sale. For locally produced drinks, you can’t beat a Bealim night. 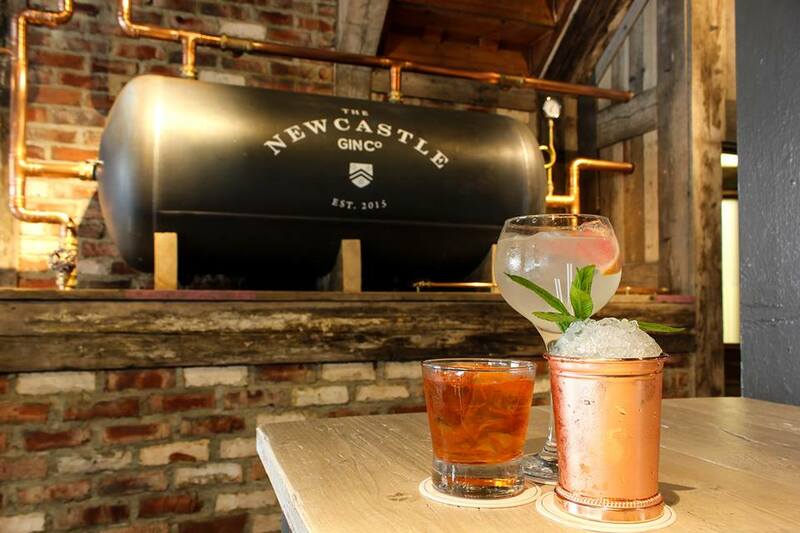 Bealim House is Newcastle’s first authentic gin distillery (an 8ft tall, 400 litre receptacle), home to the popular Newcastle Gin Company, and unlike anything the city has seen before. Formerly a printworks, the Newcastle bar maintains an industrial feel – and sells its own produce. We recommend the Red Smoked Snapper (smoked Newcastle gin, tomato juice, lemon, tobacco, Worcestershire sauce, salt and pepper) from the cocktail list. And, there’s even a self-serve lager table for up to 10 people (make sure you book in advance). If you love your experimental beers, American diner style dAt bAr is the place to be. 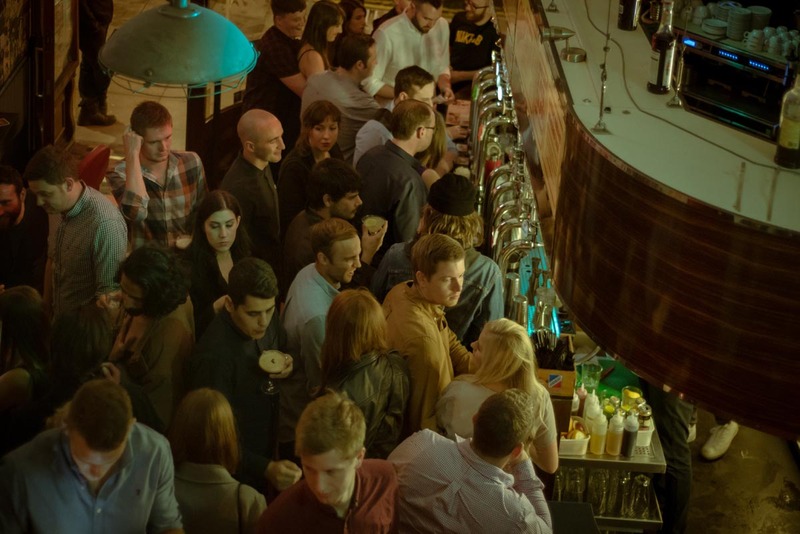 Its stripped-back interiors, 20 ever-changing ale taps, trendy staff and craft beer-soaked hipster vibe earn this bar its place in our top 10 Newcastle bars. 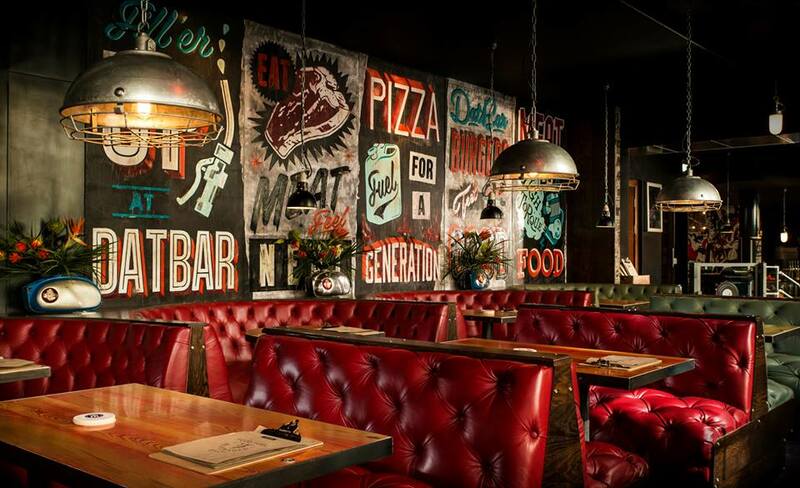 You can even get tasty food here – feast your eyes on the 74-hour sourdough pizzas, 12oz steaks and sliders.